George Knapp moderating the CIA panel. For the first time in American history senior CIA officials were granted permission to openly discuss some of the achievements born of efforts from the work performed at the infamous base, Area 51. Investigative Reporter George Knapp presided over a panel. 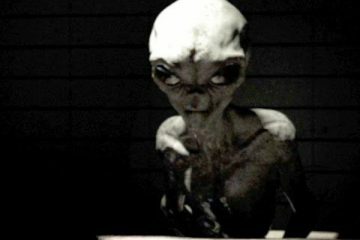 Some of the CIA’s achievements at Area 51 were discussed at length at this historic event, but despite public interest, leaked stories, whistleblowers and popular lore permeating the history of area 51… the topics of non-terrestrial cooperation and UFO reverse-engineering were not discussed. A most unusual evening for sure! Learn more about Corbell and his exploratory films at ExtraordinaryBeliefs.com.